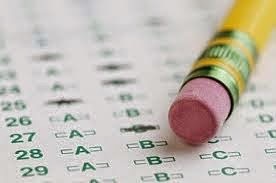 What: This course will cover strategies and tips for both the ACT and SAT tests. We will discuss what to expect on the test, techniques to study, and strategies for approaching questions, as well as seeing lots of in-class and at-home practice exercises. Who: My name is Brandy Dahlen. I have a master's degree in history from the University of Cambridge, and I have taught at UAB, Jeff State, and Excelsior co-op. I have taught ACT/SAT prep for 10 years both as a tutor and in a classroom setting. When: Tuesdays 1:30-2:30 beginning August 19 for 8 weeks. Costs: This class is $200 for the 8 week session. $50 deposit due upon enrollment to reserve a space with the balance due by the first day of class. Enrollment will be limited to the first 10 students. Class size is kept small to enhance discussion. Contact: Feel free to contact me with questions at bldahlen@aol.com or 422-1748.